Daler-Rowney Aquafine Watercolor Brush Sable Round AF34 - 2@473 Rs [Mrp:-473] - Onlinedeals.discount - A leading product discovery website. Find the true prices of products, read reviews and buy top brand products at reasonable prices. Brush: Stiffness – Soft, Size # – # 2, Hair Type – Synthetic, Shape – Round; Pointed, Hair – 11 – 15 mm. Hair by mm – 11 mm. Handle – Short. 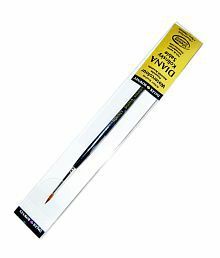 Every Daler-Rowney Aquafine watercolor brush is made from the finest materials, individually and carefully hand-crafted from start to finish by brush-makers with generations of experience. 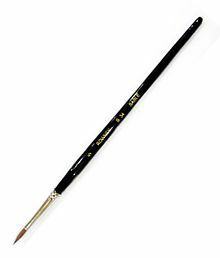 Artists can choose from an extensive selection of types, shapes and sizes across the Daler-Rowney ranges. 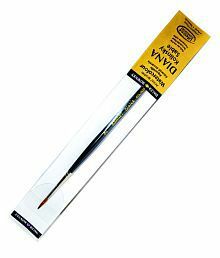 The Aquafine brush range has been engineered to offer the best selection of brushes in the market for fine-art students at the most competitive price. 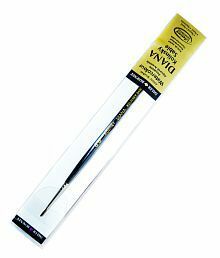 Traditionally limited to Artists’ quality brushes, high quality natural hairs have been added to these flagship ranges to offer experienced artists the ultimate experience. 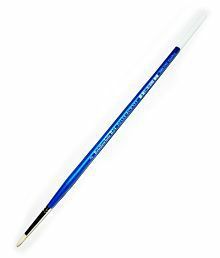 The brushes come in 12 different styles, a full range of sizes, and have a black high gloss finish handle, black shadow ferrule and a blue colour band indicating the Aquafine range. The new Aquafine range also supports a wider range of applications by adding a line of pure sable brushes, making these Artist quality brushes affordable for students. Aquafine Watercolour Brushes use Daler Rowney’s unique formulation of thick and thin filaments, tapered to a point, as well as different lengths to make a brush that is remarkable imitation of natural sable hair. 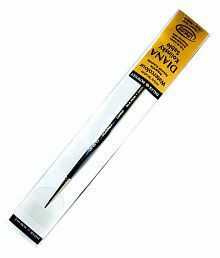 This special construction allows Daler Rowney’s synthetic brushes to outperform all other synthetic brushes in point and stroke, and guarantees that the brushes will not split. They have excellent shape retention and longer life than natural sable hair. A versatile candle-flame shaped brush, used for sweeping washes of colour as well as touching in fine lines and detail.